It’s that time of year. Before you know it, the holiday season will be here. 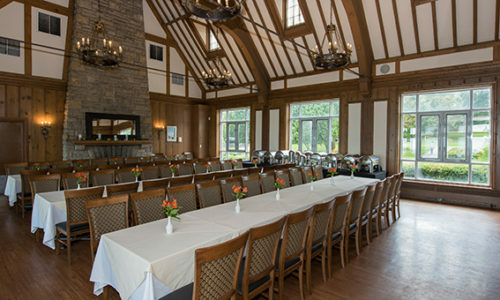 Niagara Parks offers five spectacular venues to host your corporate Christmas party, intimate holiday dinner, or casual cocktail reception. Mingle just a stone’s throw from the brink of the Horseshoe Falls while enjoying dramatic fireworks and nightly falls illuminations. Our five locally sourced full-service restaurants offer a variety of unique menus to choose from. If you require a custom experience our award-winning chefs can design a menu for your special function based on location, number of people, budget, function type, special dietary requirements and individual needs. We look forward to making your holiday event an unforgettable one. Our Social Event Managers will help you with all of the details. Book by Oct 31, 2019 and receive a complimentary Niagara Parks Package Giveaway. 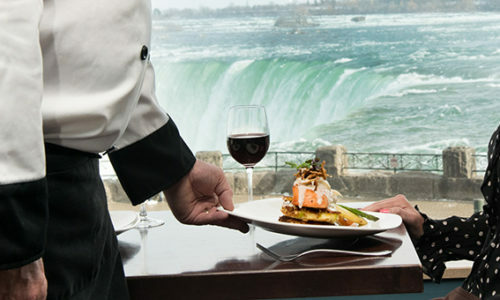 Available at Elements on the Falls, Queen Victoria Place, Queenston Heights Restaurant, Legends on the Niagara Restaurant and Whirlpool Restaurant. 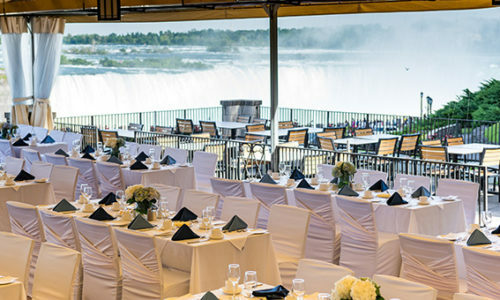 This spectacular restaurant transforms into an incredible venue, right at the brink of Horseshoe Falls. This quaint and charming venue is perfect in any season, surrounded by spring blossoms, lush summer flower beds, vibrant fall foliage or sparkling in a Victorian-style winter setting. Our exclusive stone, mahogany and cedar clubhouse is surrounded by manicured greens, an enchanting lake and includes indoor or outdoor seating options. 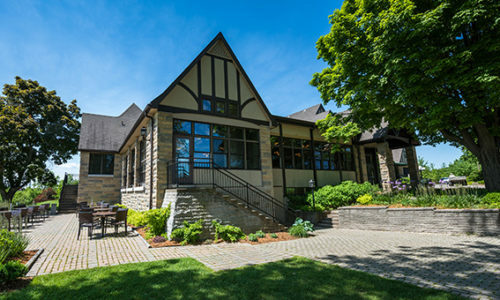 Overlooking one of Canada's top-ranked public golf courses, Whirlpool Restaurant offers incredible views at a fantastic value. 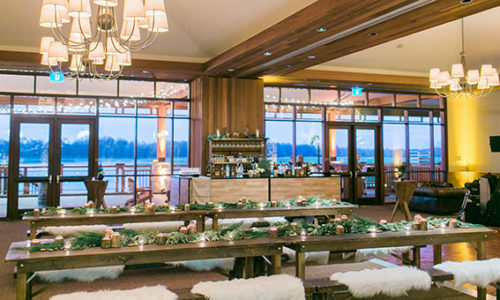 Trust Niagara Parks to create the event of a lifetime at one of our truly engaging falls view and riverside venues.